H.S.H. 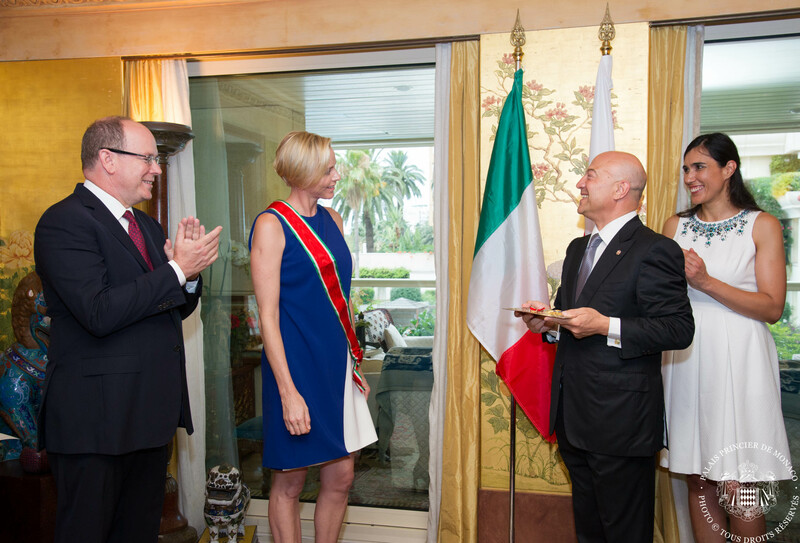 Princess Charlene of Monaco was awarded the honorific distinction of Knight Grand Cross of the Order of the Star of Italy by the President of the Italian Republic. She received this decoration in the presence of HSH Prince Albert II of Monaco from the hands of the Italian Ambassador to Monaco, HE Antonio Morabito, in a solemn ceremony held at the Italian Embassy in Monaco yesterday, Monday 28 July 2014. The reception was also attended by the highest Monegasque authorities, including the Minister of State, Michel Roger, the President of the Crown Council Michel-Yves Mourou, the Archbishop of Monaco Monsignor Bernard Barsi, the President of the Council of State Philippe Narmino, the President of the National Council Laurent Nouvion, Government Councillors and many Italian personalities residing in Monaco. 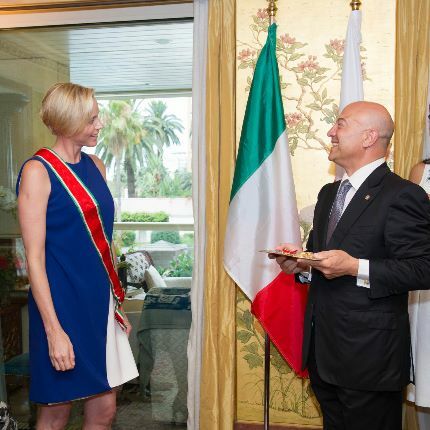 Through this distinction, Italy wished to reward HSH Princess Charlene’s worldwide humanitarian and philanthropic action and initiatives for the protection of children and the values of Sport and Her strong attachment to Italy.